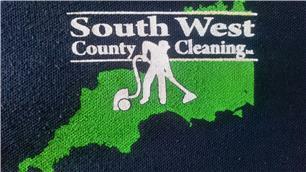 Southwest County Cleaning Ltd - Cleaning Services based in Poole, Dorset. Southwest County Cleaning is a small family run business. We have been running as a company for 4 years but we have well over 10 years carpet cleaning experience specialising in carpet, rug, upholstery cleaning and traffic lane and stain shield protection. Whether it be the freshening up of your home, cleaning after an accident in your home, or a final clean of your home before you move house, we’re more than happy to help.